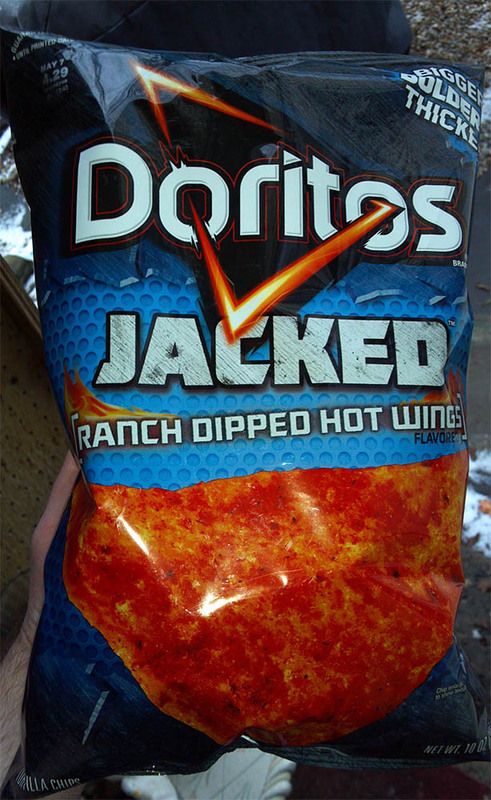 Doritos Jacked chips are thick, large, bolder tasting versions of their regular Doritos lineup. 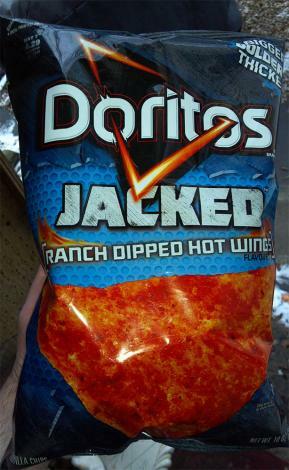 So when I saw the Doritos Jacked Ranch Dipped Hot Wings flavor I had to try them. The packaging details really jumped out at me and being a fan of the Ranch flavored doritos the blue color really grabbed my attention. The chips are huge like all the other Doritos Jacked chips and the flavor is almost spot on for what it claims to be. The Hot Wings flavor is a spicy buffalo flavor with a hint of vinegar that gives it a nice bite to the heat. Along with a nice hint of ranch these chips taste good. All the chips are noticeably coated with flavoring and smell great. Yes. If this flavor sounds appealing to you, get a bag and enjoy the bold taste. (Update!) After eating these at work today the vinegar smell and taste of the chips was much more noticeable. A small change of environment and I realized I must have been getting used to the smell and taste at home. Turns out these are a bit stronger with vinegar than I thought they were and a couple coworkers seemed to notice. These are the best Doritos ever... screw your coworkers!! Let them smell vinegar! lmao! I'll take some more to work tomorrow. 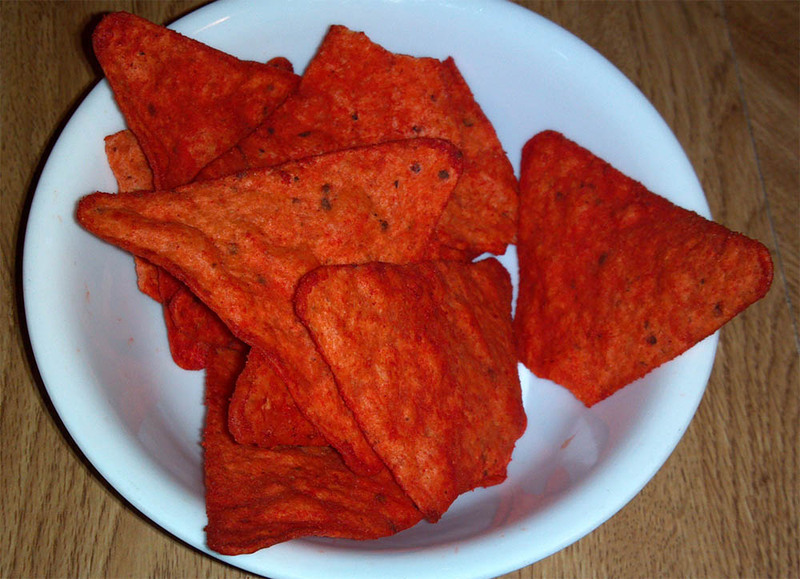 I don't like Doritos because of the after-taste and the overall texture but I think it works with different foods or dips. Like a thick guac or blue ranch or chunks of cheese go well with this sort of chip. I don't know if it's just me but the type of chip texture matters a lot to the overall fun of having it. I'll try this if you attest to the taste. The taste is good. But keep in mind that the texture of the Doritos Jacked chips are very different compared to the regular doritos chips. You might like these.